Have you ever noticed the designation “All America Selections” or the logo (shown on the right) in a seed catalog or on a plant label? 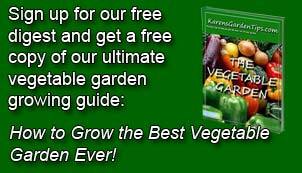 If you haven’t, you might want to start as it could help you pick some very fine plants. The All-America Selections (AAS) program works to identify new and outstanding seed varieties and many of their selections have become household favorites. Think ‘Big Boy’ tomato, ‘California Wonder’ bell pepper or ‘Wave’ petunias and you will appreciate how significant this program can be. The AAS has been around since 1932. Their goal is “To promote new garden seed varieties with superior garden performance judged in impartial trials in North America.” New unsold cultivars are tested by a network of independent judges with every effort made to ensure impartiality. Plant breeders and developers submit their product for consideration and the AAS runs the trials and reports the results. The main focus is on annuals, but many vegetables have been part of the program too. Annuals are evaluated on desirable characteristics such as novel flower forms, flower colors, flower show above the foliage, fragrance, length of flowering season, and disease or pest tolerances/resistance. Vegetables are evaluated on such qualities as time to harvest, plant habit, ease of harvest, fruit quality, fruit taste, total yield, and disease and pest resistance. The AAS maintains a website that posts the results as well as provides information on the process of evaluation and the goals and workings of the group. The website includes a list of all the All America Selections since 1932, arranged chronologically from newest selections to oldest. Over 300 flowers have been recognized as AAS winners. Needless to say, many of the selected varieties have fallen out of favor but new varieties are developed and identified every year . The greatest value of the list lies in checking on the new cultivars being produced, sold, and advertised on line and in catalogues so that you know what your buying. If the cultivar is not on the list it may just not have been submitted to AAS but on the other hand it may not be a good variety. I have a limited amount of room in my garden and I like knowing that the plants I buy are tested and evaluated and I find the list helpful.